Surprise! 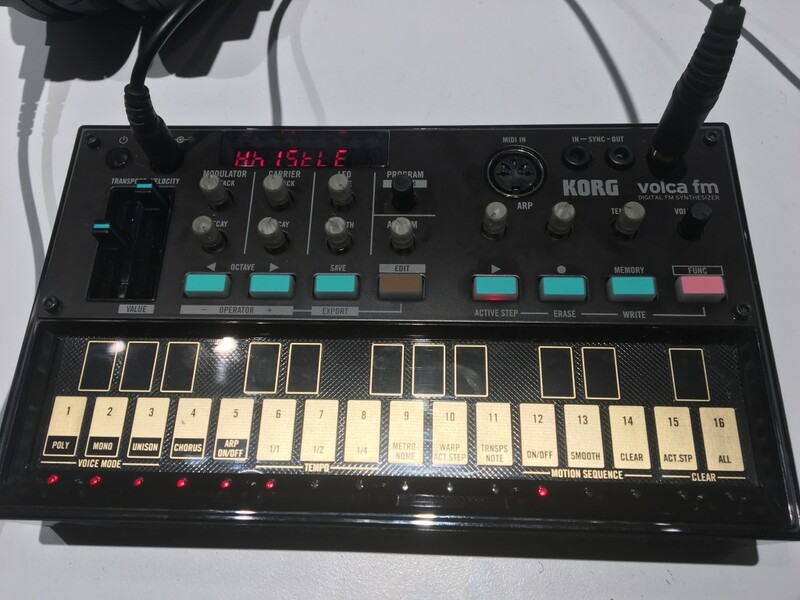 In addition to the hit minilogue, KORG are unveiling a volca series that does FM synthesis. And KORG are even making a friendly nod to their Japanese rival with a DX7 color scheme. I got to play with the new volca FM, and – well, there’s a lot of cool things I can already share about it. It’s a real 6-operator FM synth. 3 voices, 6 operators. It really is like a DX7 that fits in the palm of your hand. It’s also a volca. So it’s got MIDI in, sync in and out, and the classic volca rectangular form factor and battery power. It’s got a volca sequencer – and that got more powerful. 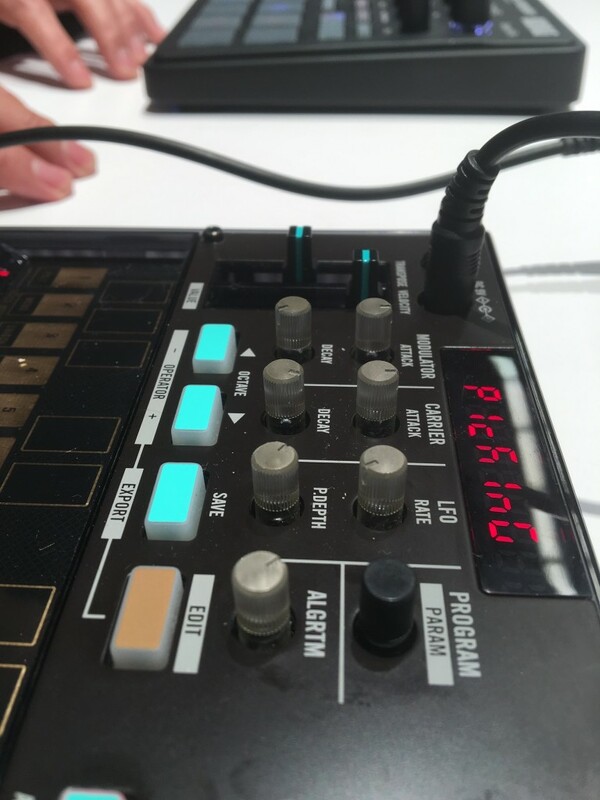 Like the other volcas, there’s touch access to step sequencing and motion recording (for automation). But there are new features, too: WARP, ACTIVE STEP, and PATTERN CHAIN. There’s chorus onboard, plus an LFO. That adds extra sound control features, so you aren’t restricted to just playing back presets. There are tons of presets. The FM staples are all built in, but KORG also says you’ll be able to load in DX7 sound files via SysEx. You can dive into programming settings. Yeah, okay, this is a surprise. 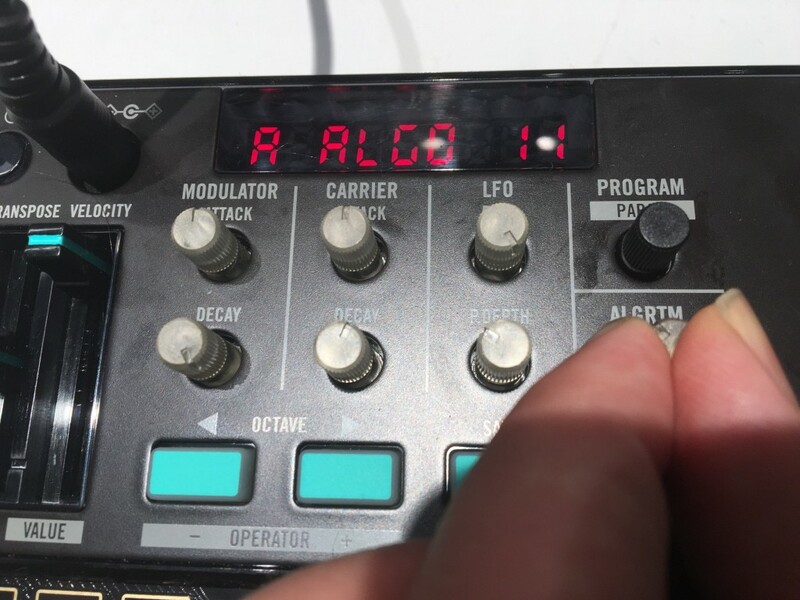 If you want to get deep into actually programming FM presets, you can. You can muck about with transposition as you play. I was curious about that big octave fader on the left and why KORG chose it. Turns out it’s actually a lot of fun transposing up and down by octave as a sequence is playing. You get dedicated attack/decay controls for the modulator and carrier. You can automate the algorithm. Let me just say that again. You can automate the algorithm. So as a sequence is playing, you can twist the algorithm knob and radically impact the sound, then record that as automation. This feature alone will probably have you buying one. I’m already insanely addicted to the volca sample and have gotten a few tracks out of the volca keys. So I’m looking forward to this one, yes. It’s an unexpected gem of NAMM. No word yet on availability (I’m not sure even KORG know); stay tuned.